The funny thing about classic albums is that sometimes they're just not that entertaining. Naturally, that's going to vary depending on who you're talking to, but I've owned this album for almost five years now, and it has yet to inspire me. I'm not saying that the Byrds' debut album is boring or anything; in fact, this is an enormously pretty album. It's not too exciting though --- and there isn't much diversity between songs. This is the second time I've attempted to review this album (the first time was about three years ago), and the monotony of it has kicked me in the pants once again. But let's let history do the talking. This was an enormously influential album, and it inspired a new sound for the better. These guys were also among the first to use 12-string guitars in pop rock music (though obviously not the first as it is sometimes reported), which gives their music an utterly intoxicating sound. If it wasn't for this album, maybe the Beatles' Rubber Soul would have sounded different ... It's tough to talk in hypotheticals, but that's something to think about. I don't want to sound too negative, because I find Mr. Tambourine Man to be an excellent album with more than its fair share of memorable moments. It's also worth noting that while the songs tend to sound alike, there's no filler material in here. These guys gave every song their pristine and revolutionary treatment equally, for the most part. With their 12-string guitar sound, they prove they can make any song worth hearing. They're not perfect, because the sound isn't so great the seventh time as it is the first and second time. I guess another reason I don't like this album as much as I should is because the melodies aren't always prone to inspire me... They write nice melodies, but nothing that quite gets stuck in my head. The catchiest song is obviously the title track, which is a Bob Dylan cover. To their credit, they don't write any poor songs and they do some great covers. Sort of the unwritten rule for rock bands making cover versions is that they can't make it sound exactly like the original. If it does, then what's the point of doing a cover? The Byrds take this Dylan song and give it breath of harmonic and instrumental life in ways the original didn't even approach. My personal preference is always going to be the soul-tugging Dylan original, but this completely revamped version isn't far behind. The problem with the Byrds' revolutionary Mr. Tambourine Man was that it sounded samey and monotonous the whole way through. Their follow-up to that album Turn! Turn! Turn! is just an extension of that album --- with the same old problems. You can almost tell how excited I am about an album based on how fat my track reviews are. Just purusing them --- they're pretty skimpy. There's not much point delving into a lot of detail about songs that sound so much alike. I guess that means if you didn't enjoy their revolutionary album (which you probably bought because it was historically significant), there's no point in owning this. I mean, unless you like wasting your money! If anything, this album takes a bit of a turn for the worse. For the most part, musicians having a second go at their formula typically don't come off as fresh sounding. Even the Byrds themselves sound a little bored here. This album contains a few bored vocals in several tracks --- and they manage to top it all off with the most boring cover of them all: "Oh Susannah!" But the Byrds don't forget to include at lease one great classic for the ages. It's the title track again, "Turn! Turn! Turn! (To Everything There Is a Season)" is famous for a fantastic reason! It's not a Bob Dylan cover this time; it's a Pete Seegar cover! And it's a huge improvement over the original --- you hardly even recognize it. Otherwise, there are some fantastic originals in here. "If You're Gone" isn't too far behind ... Their extra entertaining treatment of that track made it sound much nicer than some of the covers that sound tossed off, more or less. This would point to their follow-up album Fifth Dimension (which fortunately takes up some real diversity for a change) where their songwriting would fully blossom. 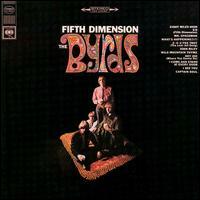 Overall, this is a good album --- after all The Byrds were probably one of the finest bands of their era. Though, in truth, this is probably the worst album of their original classic line-up (i.e. everything they would release henceforth until Sweetheart of the Rodeo). Soar!!!! That's what The Byrds do. After those rather boring (but unique and revolutionary) debut album and the cloned follow-up, they finally create something a little more exciting in Fifth Dimension. They not only expand on their sound by adopting some psychedelic undertones, but they add considerable beauty to their work. Nearly every track on here is a gorgeous work, which alone makes this their finest work! The most intriguing aspect about listening to The Byrds music is that they usually manage to be interesting even though they don't always write great melodies. Of course, Fifth Dimension has its fair share of memorable tunes (notably, "Mr. Spaceman") but they were far more interested in their actual arrangements. So, even if they don't have a necessarily great melody, their work manages to still be entertaining. Well, this is an important step toward album-rock it seems. Not that I really know about anything! It's funny that "Eight Miles High" was a hit single for this group. It honestly didn't leave much of an impression on my when I went through and scored the tracks! But that's a unique song and one that suggests that the public mindset was ready for some severe changes. The Byrds' role in ushering in a new era of rock was pretty much done by this point, but they were unquestionably one of the main forces leading up to the 1967-1969 era, arguably the golden years of rock 'n' roll. You can talk about this album's historical value all you want, but what's most important is the music itself. And, Fifth Dimension succeeds with flying colors. You'll love what you hear --- believe me. "Wild Mountain Thyme" is phenomenally gorgeous, "John Riley" is a particular favorite ... and "5D" is an utterly unique composition and a great album opener. I also like their version of "Hey Joe," which is a much different take than Jimi Hendrix's more revered version a year later. All of that said, I'm still not willing to put The Byrds on any of my personal favorites list. But if you're going to own anything by The Byrds or any of their successors' albums like Crosby, Stills and Nash or Buffalo Springfield, definitely own Fifth Dimension, because it's the king. The Byrds were pretty much finished making waves in the industry with the release of Younger Than Yesterday unless you count their later 1968 country-western album Sweetheart of the Rodeo. Their previous album Fifth Dimension was a ton more innovative and influential than this follow-up, but as far as evaluating the musical quality of each album, they're pretty much the same. Maybe Younger Than Yesterday is even more entertaining. The album begins with one of its best songs, "So You Want to Be a Rock 'n' Roll Star." It is the perfect combination of Latin music and the already established jangly Byrds-style. The melody is even catchier than they usually pull off, which contributes greatly to its priceless status. It might not be too groundbreaking or artistically interesting, but it's a dang fun song! Also, David Crosby delivers the beautiful and unique ballad "Renaissance Fair," and the only complaint I have about that one is it's far too short! "My Back Pages" proves to be one of this group's finest Bob Dylan covers, and it's probably the catchiest tune of the whole album. That's great vintage Byrds music right there. And the final highlight I'll mention here is the "Thoughts and Words." The guitar tone they work up there is rather off-beat but odd and enchanting. The biggest complaint there is they have to end that sound and actually have a chorus! "Mind Gardens" is usually considered a major misfire, and I can do nothing but agree with that assessment. I don't think that Indian-tinged ditty is so dismally horrible, but it's weak and it has no melody. That sort of makes it stand out like a sore thumb among its much more tuneful bretheren. It's pretty obvious that this is one of The Byrds' greatest albums. It's probably not quite as great as its more revolutionary predecessor Fifth Dimension that helped launched the psychedelic movement --- but this follow-up is more diverse and fun to listen to. This is a classic band at their peak --- and it doesn't get better than listening to a great band at their peak, my friends!!! I remember hearing this album ages ago and being pretty disappointed at it. It's nowhere near as exciting and innovative as these guys previous two releases. But it's still contains some highly creative moments and more than their fair share of gorgeous melodies and harmonies. So, this effort might be considered a disappointment for some listeners ... Well these feelings might be justified, but never discount the album's great moments, either! The two greatest songs of the effort are unquestionably "Goin' Back," which captures all the beauty "Mr. Tambourine Man" was great for! Also all the beauty in "Draft Morning" manages to give even "Goin' Back" a run for its money. If there's one thing The Byrds have always done great is their harmonies and melodies ... and they nail them there. That's not to mention the other songs are good. They might not be as capturing as the group's finest, but they continue to be well written, melodious tunes. Some come off as relatively boring but these guys manage to do something completely weird to throw us off and keep it from getting monotonous. "Change is Now" is a rather uninteresting psychedelic tune that suddenly shifts into a country-western song. "Tribal Gathering" is an OK jazz tune, but then it gets a little crazy when a dark-toned electric guitar attempts to take it over! Some of their experiments extended to playing around with moog synths. Naturally, rock 'n' roll would come along way with using those instruments in a few short years after 1968, so these produce relatively primitive sounds. They create some interesting textures with "Dolphin's Smile" and try to create a full fledged synthscape with "Space Odyssey." Unfortunately, they also forgot to add compelling melody with those two tracks! Oh well. 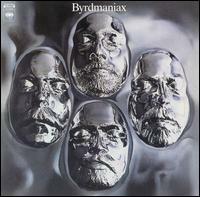 All in all, this is another highly recommended Byrds album... Don't overlook this thingy. It's the last album they would do before that boring country-rock thing they would do the following year. It's also the last Byrds album before David Crosby left the group. 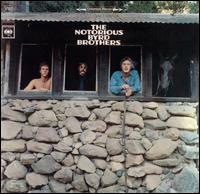 This was one of the original albums to push country into the rock world in 1968 thus igniting the roots-rock movement. The roots-rock movement rekindled an interest in those time-tested forms of music! ........... OK, you caught me. I don't give a damn about roots-rock. Keep in mind that is coming from someone who worships Kate Bush, Roxy Music and David Bowie, so............ Anyway. 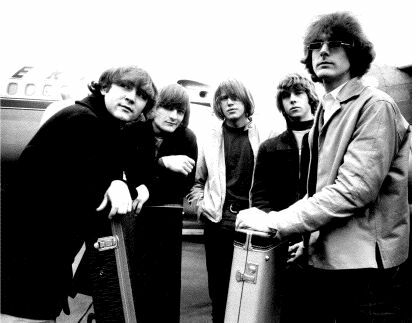 This marked a period of major transition for The Byrds. This wasn't just their big push into country-western music, but David Crosby and Michael Clarke had both left the band. Crosby would go onto bore his legion of fans with a solo career, and Clarke would eventually join The Flying Burrito Brothers along with current Byrds Member Chris Hillman. And in with some new Byrds! One of them was Gram Parsons. He was also a Burrito Brother, and he's currently famous because he liked drugs and died. So what we have here is an OK album that's full of old-timey country-western songs. Most of them are covers. One of the problems with that is I generally dislike country music! Now don't get your underwear in a bunch; I've gotten better about that recently. The mere fact that this is "country" isn't enough to phase me. The BIG problem is they don't make this genre sound fresh. You'd think that would have been the point --- to refreshen an old-timey style of music. But I guess they were only interested in being uninteresting. Well, thanks. I'll remember that when I go to sleep tonight. Not that this is a bad album. Most of it was well done. There's no point where I can legitimately say that they're being tasteless to any degree whatsoever. I do get sick of that freaking slide guitar pretty quickly, though, but that's just one nitpicky thing. Otherwise, the instrumentation is nice, and they even develop a few nice atmospheres. Icky! This isn't what I wanted to hear out of The Byrds. They released that boring country-western album Sweetheart of the Rodeo, which I didn't like much at all. I still feel sleepy from the experience reviewing that album. 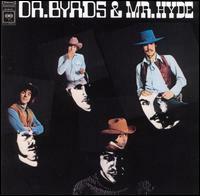 On paper, Dr. Byrds & Mr. Hyde should have been an improvement. Instead of a strict country-western format, this is more of a variety of songs. There's not just country-western, but also heavy metal, Dylan-esque rock 'n' roll and psychedelic rock. But The Byrds just can't seem to do anything right. Pity. And when I say The Byrds, that is to say Roger McGuinn. It was just him. And a few other musicians he just happened to be with. The rest of the original members had long since left the group and were doing other things! 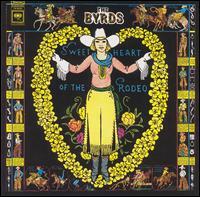 Even Gram Parsons, who joined The Byrds for Sweetheart of the Rodeo had moved on. Nothing against McGuinn, but I hope he listens to Dr. Byrds & Mr. Hyde today and feel a little bit sorry that he didn't give it a better try. Some of this stuff is really embarrassing. �King Apathy III� is a really bizarre attempt at combining heavy metal with country-western music ... It awkwardly shifts between one of the lamest pieces of Led-Zeppelin-esque metal I've ever heard and an airy and forgettable country ditty. I'm really not sure what they were thinking... �Bad Night at the Whisky� is a pretty sad attempt at revisiting The Byrds' impressive psychedelic past, and I'm sure McGuinn's former band mates really hated that he was trying to murder The Byrds' good name! �Child of the Universe� is another attempt at psychedelia, and it's such a curious, weird thing that's rather painful to listen to... That pounding drum sequence that keeps popping up adds nothing except its awkward sound, and that melody they work in is flat and lifeless. Were they even listening to what they were playing?? I'm probably being a little to melodramatic about this album, but it hasn't been too kind to me, and my natural reaction was to snap at it. I will point out that there are three good songs here that ended up to provide me with some fine entertainment! Their Dylan cover �This Wheel's on Fire� might have been done much better by The Band a year earlier, but this one has a darker and more menacing tone to it. Plus, that's a dang good Dylan song, so they had some excellent source material to play. �Old Blue� is an incredibly lightweight country-rock song. I'm sure I'll be met with a few upturned eyebrows by calling it the best song of the album, but in my defense, the thing is dang catchy and likable. Sure, it has a completely a derivative country-western melody, but I like their presentation of it. The Byrdsian jangly guitar gives it a nice texture, and those corny hand claps ended up being a good idea. I also enjoyed their country ditty �Drug Store Truck Drivin' Man,� even though McGuinn's vocals coupled with that unexciting melody are so incredibly boring... But I give that slide guitar a thumbs up and a cigar. This was a massive improvement over that messy and unfocused Dr. Byrds & Mr. Hyde. Well, virtually any change-of-direction was bound to be an improvement, but this was a pretty big improvement. 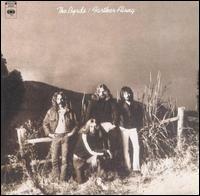 The Byrds seem to have predetermined that this album would have a sleepy ambiance. That had both positive and negative effects. On one hand, some of it is so beautiful and earnest that you can't help but like it. These guys never seem to overdo anything, so the album seems natural and genuine. On the other hand, some of it is positively boring. Many of you are probably already familiar with that gorgeous title track! If you aren't, then you're missing out on one of the most gorgeous songs ever recorded. That's right�I think *that* much of it. Nothing else in the album comes close to matching it in terms of overall quality. But there are a small handful of formidable tracks. There's �Gunga Din,� another song that revisits the 12-string guitars. This time, the guitars take on a wind chime effect, and they're completely hypnotizing! I can't even say �Gunga Din� has much of a melody to speak of, but how it contrasts with those guitars is rather remarkable. �Jesus is Just Alright� is one of the more popular songs although I think the Doobie Brothers' version is more well-regarded. That's a repetitive gospel-rock number, and they really nailed that delivery. Amazingly, it still retains somewhat of a sleepy tone! �Fido� is about a dog and was written by the newbie bassist John York. It's a little more hard-rock than you'd expect from them! The melody is catchy, and I like those guitar licks. Somehow the song even has a drum solo that still seems apathetic, which keeps that overall tone in-line. One of the songs I didn't care for was �Oil in the Lamp.� It's straightforward country, so it wouldn't have been on too good of terms with me to begin with! But that vocal delivery is incredibly dreary... It's not so much bad, but it rubs me the wrong way. �It's All Over Now, Baby Blue� is an uninteresting cover version of Dylan's classic. They seemed to be getting too wrapped up in their �sleepy mode� and started to actually fall asleep! Zzzzzzzz... Though that was a Dylan song, and a Dylan song shall always remain a Dylan song. (How did you like that?) It gets worse when he covers Woody Guthrie's �Deportee (Plane Wreck at Los Gatos).� Political folk songs are all boring to begin with, and that combines with that sleepy delivery to create something to the effect of an illegal sedative. The country ballad �There Must Be Someone (I Can Turn To)� had a similar effect, but I enjoyed that earnest vocal delivery. If you have the edition with bonus tracks, you might be surprised that it contains a gem or two. �Way Beyond the Sun� takes that sleepy tone to the blues. The instrumentals are still very crisp and upbeat, and the result of this is a blues song in a way that I hadn't quite heard before. I was never a big fan of the blues, but this approach interested me enough to feel very entertained by it. Also, there's a Moog experiment called �Fiddler a Dram.� It combines these Moog sound effects with a banjo, and they put a simple melody over that interesting texture. It's really very captivating! 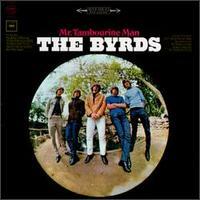 This is far removed from being a perfect Byrds album, but it's certainly a good one... If nothing else, you should hear the title track if you haven't already! If you don't like it, then you're probably dead ... or a mental case. This album is strange because it's so long. These guys were well-known for their succinct albums. 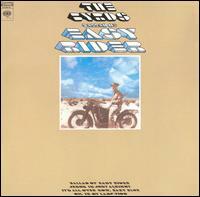 Ballad of Easy Rider, their previous release, was only 33 minutes. Dr. Byrds & Mr. Hyde was 35 minutes. Sweetheart of the Rodeo was 32 minutes. .............. And Untitled is a whopping 71 minutes! Granted, it is one of those half-live, half-studio double albums, but the studio portion of it is 40 minutes. Making matters even more interesting, the current CD release contains an extra disc full of material bringing the overall running length to 120 minutes. Crap, this thing is monstrous! I'd normally say something along the lines of... �If they had trouble filling up a 33-minute album, what makes them think they can fill a 71-minute one?� But I won't say that, because they filled it up surprisingly well! It has tons of flaws, though, which limits the appeal of this album only to Byrds fans. But Byrds fans (i.e. Roger McGuinn fans) will probably find enough to enjoy out of this to warrant spending the time on it. Also, that extra disc of material for the CD release is well worth owning. So, people who bought the original album on vinyl might want to consider hearing the bonus CD. There are a number of songs that were never released, and they're generally pretty good. Roger McGuinn composed an excellent new song called �Lover of the Bayou!� He wrote the music and Jacques Levy (who would later collaborate with Bob Dylan) wrote the lyrics. It's perhaps the most rocking thing the guy has ever done ... Certainly, I didn't think he was capable of something this cool! The first instance of the song is the live version, which opens up the whole album. The fuzz guitar licks are heart-pounding and fresh. I like the lyrics, and that running bass-line is great! The studio version of that tune appears on the second disc, and texture is more complex and the instrumentals are a little more contemplative. I don't have a personal preference toward either one, but it's nice to have two completely different versions of the same song. And the reason why the bass sounded so good in �Lover of the Bayou� is because they got a new bassist, Skip Batton. He brought with him some tight bass sounds, but he also brought with him some really crappy songs. The worst offense is that eight-minute �Welcome Back Home.� The first half of it is plagued with choppy development issues and the second half consists of strange Buddhist chants. (He was a practicing Buddhist, and he was being serious about that. It's unintentionally hilarious!) But he did help make that 16-minute rock jam version of �Eight Miles High� surprisingly listenable... If you have to do rock jams, the bass guitar is an intricate part in keeping the groove alive. Roger McGuinn's other major contribution here is �Chestnut Mare,� which is a very sweet ballad with some very nice guitar textures. The chorus is also incredibly beautiful and captivating. It's only flaw is that McGuinn decides to speak the verses instead of singing them... Sometimes that style works, but it doesn't here. He'd have to have more of a good thespian voice to pull it off. As far as the live versions of their back catalogue, most of them are far cries away from the original versions apart from �Nashville West.� That song managed to anger me on Dr. Byrds & Mr. Hyde, but it's surprisingly tight and professional sounding here. That's another benefit of the new bassist, for sure! I also enjoyed this rendition of �Mr. Spaceman.� The original was more authentic and had more intricate textures, but this version makes me want to dance. There are also two live cover versions of Lead Belly's �Take a Whiff on Me.� I prefer the second version, which appears on the bonus disc. That version favors finger-picking hillbilly guitars, which gives it a more appealing texture than the duller first version. It also does a decent job integrating that song into The Byrds' well-established style. Naturally, since this is The Byrds, there are plenty of Dylan covers! There are two of them that we haven't heard them do before. The first is �Positively 4th Street,� which is fairly straightforward, but it's still an enjoyable song to hear them do. McGuinn puts on his best Dylan impersonation, and comes off OK. It's all a little bit sloppy, but it doesn't detract much from the overall experience. The second Dylan cover is �It's Alright Ma (I'm Only Bleeding).� Unfortunately, that's an incredibly clumsy and boring rendition. The instrumentals weren't done right at all... They were favoring a minimalist approach instead of the more intricate textures that they should have been developing. They were better off to have not done it at all! Well, I only highlighted about a third of these songs, and I won't spend endless more paragraphs talking about all the others. There are always the track reviews if you require more detail! 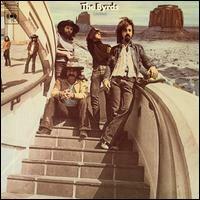 I'll reiterate that Untitled/Unissued is a surprisingly worthy addition to the Byrds' discography. They find enough decent material to fill up two whole hours of music, and they don't embarrass themselves nearly as much as I thought they would. That's even considering the album has a 16-minute rock jam. Amazering! Wow, this is a boring album! Other than that, there's nothing particularly wrong with it; I just struggle to find much that's right about it. From beginning to end, this album is very ho-hum. I'm really bored out of my mind listening to it, and by the sound of it, The Byrds were bored outta their minds playing it. And I ask you... what's the point of making an album that you're not excited about playing? I mean, they're in one of the greatest rock 'n' roll bands of all time, and they sound like they were falling asleep in the studio! SHOW SOME ENTHUSIASM! The All-Music Guide mentions that the album's producers did a little extra work to this without the band's permission. They added a few string arrangements, a bit 'o horns and some extra pianos here and there. If that true, then good for the producers! They tried to save these boring songs! ... Of course, the added production didn't end up saving much of this. It's still a boring album! The one notable exception is �Kathleen's Song,� which was transformed from an uninteresting ballad (that can be heard on their previous album Untitled/Unissued) to a gorgeous one! It's still not a particularly memorable song, but the orchestration provides a very pleasant at-the-moment experience. It's the sort of song that would be good for a film soundtrack... It projects a beautiful mood, but it's not memorable enough to distract you from the film. The arrangements drown out McGuinn's voice a bit, but I don't care. I'm sick of his stupid voice, anyway. �Pale Blue� is a 12-string guitar ballad, and it's one of the better songs here. It's still boring, though, and that's not helped by McGuinn's typically sleepy vocal performance. However, it's a calming, sweet song. You'll listen to it once, probably sit back in your chair whilst sipping a lemonade, and you'll forget about it the minute after it's finished playing. �I Trust� is a very flat country-blues number... the instrumentation is one of the album's bolder examples. There's a prominent use of a gospel choir, and it was an attempt for them to deliver a soulful, rousing sort of song. But it turned out to be just as flat and uninteresting as the others. Meh! �Absolute Happiness� is absolute boredom even though it picks up some steam toward the end when the instruments get a little more involved. Still, it does too little to save an already-dull melody. There's an eerie resemblance to The Kinks' 1972 classic �Celluloid Heroes� with �Citizen Kane.� This album was released in 1971, so it wasn't a rip-off or anything... but if you compare the two songs, you'll immediately see what I mean! Of course, The Kinks had the better version... Theirs is sweet and nostalgic. This is clumsy and rather annoying. �I Wanna Grow Up to Be a Politician� is my vote for the second best track of the album, but even that is no great shakes. It's a much less inspired remake of �Mr. Spaceman!� However, that sort of old-timey music is usually pretty fun to listen to given that the melody is verrrrrry predictable. Just to piss me off, probably, they include a hillbilly jam called �Green Apple Quick Step.� This sort of stuff never interests me unless I happen to be seeing it live where I become hypnotized by all that fingerpickin' and contemplate what it must be like living with a freakishly huge hillbilly beard. But this song just isn't interesting to me. There are no instrumental virtuosos in the group... they're all just plucking away at those things with no real goal in mind. Byrdmaniax isn't the end of the world; I survived sitting through all of these songs! But what it's lacking most is any sort of durable hit that's likely to linger with you after you turn the album off. Ballad of Easy Rider is similarly boring, but at least they gave me �Ballad of Easy Rider� and �Gunga Din,� which will probably linger in my mind for the rest of my life! Even the album's highlight, �Kathleen's Song,� falls short of such status. I'll repeat: THIS WHOLE ALBUM IS BORING! The Byrds could have done better, and they bloody well knew it! It's been pretty well established that The Byrds had long gone past their expiration date. Roger McGuinn had already peaked as a songwriter, and none of the other band members he brought in were particularly notable songsmiths. Really, if you listen to this album, you'll likely find it to be inconsequential and without any original ideas to speak of. Well, despite that, Farther Along is an incredibly pleasing album. They learned from their mistakes well, and they started to actually sound like they were enjoying themselves! As it goes, the audience has a better chance of enjoying an album if the artists seem like they enjoyed creating it. �Tiffany Queen� is a good start, and the only song of the album that could be construed as rock 'n' roll (and that includes the song called �Born to Rock 'n' Roll� in the bonus tracks). It's actually a somewhat convincing riff-rock song, and that's surprising considering I didn't think these guys knew what rock 'n' roll was! Yeah, it's still a tad flat, and they shouldn't have relied on a generic '50s R&B melody, but it's a sort of crunchy song that's fun to listen to. �Get Down Your Line� marks the moment when I suspected these guys were actually enjoying themselves. Musically the song isn't any great shakes, but all the band members join in for the chorus with incredibly unrehearsed, unpolished vocals and sound like they're having a blast. That's all that matters, I guess. Nothing on here can really top �Bugler,� which probably deserves a place as a classic on these McGuinn-era Byrds albums, though not a major one. Once again, it's nothing spell bounding, but that light breezy melody is rather fun for me to hear. They also favor some rich, organic guitars, which makes it sound even better! What's more, that slide guitar is gorgeous!! �B. B. Class Roadie� is a typical piano-boogie, but that comically guttural vocal performance keeps it lively and even comedic. It's as generic as it gets, and the musicianship isn't amazing or anything, but it's admittedly fun to hear it. �America's Great National Pastime� is even funnier, though. It sounds like a theatrical Dixieland parody (with some skiffle guitars and a music hall piano), and the lyrics are very silly. A lot of people think that song is dorky, and it is, but that's the point! ... I'm just glad they're not boring me to death with another zero-calorie gospel-folk number. The last five songs of the album are generally the weakest, though many of them are still quite nice. �Antique Sandy� is a pleasant, atmospheric ballad with an interesting use of a vocal echo effect. That was close to being another one of their dull ballads, but with that effect and those pretty, well-mixed guitars, it had a chance to show its colors a bit. �Precious Kate� is a little dull, though... It's not a bad listen, but they don't come up with too many great ideas for it. �So Fine� and �Lazy Waters� also don't impress me much, but they're still tuneful enough for me to gather interest in it. The album ends with a finger pickin' bluegrass instrumental that sounds like royalty-free stock music. I know I already said the other songs don't have an ounce of originality, but that fact didn't seem to overwhelmingly bother me until that point. Ah well... It's the last track, and it doesn't do any harm. The bonus tracks are surprisingly nice for bonus tracks! Many of the songs would later appear on McGuinn's solo career... which means that I know what his solo career sounds like now! Exactly like these late-career Byrds albums! �Lost My Drivin' Wheel� is very light and very nice. It's a cool sort of country-rock tune. �Born to Rock 'n' Roll� goes back and forth between a rather beautiful ballad and a more rockin' chorus. The ballad part is *much* better. Roger McGuinn was *not* born to rock 'n' roll! �Bag Full of Money� is likable, but clearly the lesser of the bonus tracks. 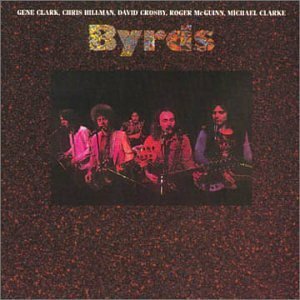 While this album isn't even close to measuring up to the classic Byrds albums, it's an incredibly even album and possibly the best of the McGuinn-era works. I guess the major problem with it is that it's without a single, really compelling song that's an equal to beautiful numbers like �Ballad of Easy Rider� and �Lover of the Bayou.� The closest thing this album has is �Buglar,� and there's next to no chance that you'll get that one stuck in your head... So, this is a solid album, but there's not much that will inspire you to listen to this too frequently. That was all a joke, of course... McGuinn was ready to fold the band anyway, and the other four dudes apparently didn't have anything better to do. So they all decided to get together to relive the good old times and record one last album together. Good for them! 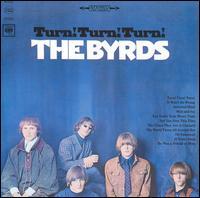 The critics at the time regarded Byrds as a major disappointment, and accused it of just being a cash-in. Sure, after listening to the album, it's easy to see how they came up with that conclusion. They obviously didn't do much planning before going into the studio. They didn't spend time coming up with intricate textures like they did in their glory days or bothering to find any other instrument than the typical guitars (except for a mandolin). They just play the songs straight and leave it at that. Yes, I agree that it was lazy, but that quality also lends it a feeling of a nice, laid-back unpretentious album. It won't move you, but it's also impossible to hate. The songs in this album were mostly written already, which I suppose adds another layer of laziness to the mix! Roger McGuinn's �Rock & Roll� had already been recorded by his Farther Along incarnation of The Byrds. The rendition here is a lot less thoughtful, I suppose, but the guitars are crunchier and it ends up being quite a bit of fun to listen to. McGuinn was the one responsible for the mandolin in �Sweet Mary,� and that one piece of instrumental diversity doesn't go unnoticed! It's also fairly close to The Byrds' original style... it has that old-timey melody, and they bring back those tight vocal harmonies again. It doesn't have the level of atmosphere and fine-work as their classic albums, but I found it to be a rather joyous revival. As nice as the McGuinn contributions were, Gene Clark was the real star of the show. His �Full Circle� is a light, toe-tapping ditty with a great melody and nice acoustic guitar performances. It's nothing more than a good song to listen to while you're laying back under the sun. Even better than that is his �Changing Heart,� my vote for the best song of the album. It has a cool, shuffling drum beat and a very hooky vocal melody. It's a great example of lightweight folk-pop; it certainly beats most of the songs I heard from The Eagles at any rate. There are three covers as well. It seems that Neil Young replaced Bob Dylan as the dude to cover, which I suppose goes to show the state that rock music was headed in the mid-'70s! Anyway, their treatment of �Cowgirl in the Sand� and �(See the Sky) About to Rain� is much more straightforward than the originals ... and, no, they don't even come close to surpassing those. 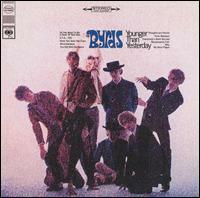 But Young's melody fits in well with The Byrds' laid-back style, so these covers are good enough time-passers. It's just the cover of Joni Mitchell's �For Free� that didn't meld with the style at all... I won't say anything else about it other than it was superbly dull. If you were a Byrds fan in the '60s and you never picked up this album, then you probably should rectify that. Yes, it's not as good as their original albums nor as well-thought-out or interesting. But it's a sweet, unpretentious reunion album. The Byrds might have went out with a whimper, but it was a cute whimper. 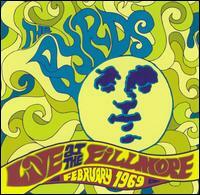 If I was to choose anytime to hear a Byrds live album, it would not have been 1969. That was right after Sweetheart of the Rodeo and Dr. Byrds and Mr. Hyde were released, and I didn�t like those at all. But, contrary to expectations, I don�t hate Live At the Fillmore, February 1969. I found it to be dull, but I didn't hate it. In addition to having at least a mild appreciation of Sweetheart of the Rodeo and Dr. Byrds & Mr. Hyde, you�re also going to have to appreciate sloppiness. They�re being so sloppy and apathetic in plenty of spots that I sometimes wondered what was keeping them conscious enough to stand upright! Er... that�s not entirely true, I guess. It�s difficult to sing and play instruments when you�re nearly asleep after all! I�m exaggerating of course, but Roger McGuinn�s sleepy-time vocals do much to project that image. Lead guitarist Clarence White comes up with much stranger guitar solos than I would have expected to hear. It�s quite a change of pace from the more straitlaced renditions on the studio albums. He�s using a regular electric guitar, but he uses it like a slide guitar. That�s kind of neat, I guess! And, even if it was a slide guitar, he wasn�t doing it properly. You can hear him do a lot of sliding with almost no consciousness about how messed-up it sounds sometimes. That could potentially have been an awful decision, but that�s exactly what ended up keeping me vaguely interested in this album. Most of the songs themselves were mediocre to begin with. That guitar is what lent them some color. You can sort of gauge the non-excitement right at the beginning of the opening number �Nashville West.� The announcer introducing The Byrds sounded so enthusiastic that he probably reading a magazine at the same time! The song itself wasn�t exactly a wonderful introduction for The Byrds themselves. It�s just a hillbilly jam. But with the guitars sounding harder, and also forgoing the �yee-haw� screams, I�m actually mildly amused listening to this. Alright. I�m vaguely interested. Let�s see what else this album has. Their rendition of �Pretty Boy Floyd� also marks a severe improvement from the original although it could never seem to escape the incredibly uninteresting melody. But at least this one is more fun to listen to; the beat is snappier, and that guitar is more interesting. �This Wheel�s on Fire� was one of the only good things about Dr. Byrds. It doesn�t start out that interestingly, but Clarence White�s fun guitar performance in the middle picks up the spirits a great deal. Yeah! I�m starting to like Clarence White for a reason other than he has a funny name! Luckily, they didn�t decide to completely ignore their back catalogue. Whenever they decided to revisit that stuff, the album seemed to get better! The highlight of the whole album is that endearing medley �Turn! Turn! Turn! / Mr. Tambourine Man / Eight Miles High.� As long as you don�t mind their unkempt presentations, I think you�ll enjoy sitting back and soaking up three of the best songs they�ve ever done. Another number they resurrected from their more classic back catalogue was �So You Wanna Be a Rock �n� Roll Star,� which surprisingly isn�t that sloppy. The same thing can be said for �He Was a Friend of Mine� even though I still find that song superbly boring just like I did the original. Ending the album on a positive though lackadaisical note is a rendition �Chimes of Freedom,� the Bob Dylan song they covered for their debut. There are a few covers here that they didn�t put in one of their albums. They cover a Merle Haggard song, �Sing Me Back Home,� but it�s a generic country-western tune just like everything else on here. A cover of The Flying Burrito Brothers� �Close Up the Honky Tonks� has similar problems. A cover that is better than usual is �Buckaroo,� an instrumental. I have no idea where it came from, but that lead guitar actually sounds like it�s trying to do something other than being completely lazy. Arguably, this is Clarence White�s best performance on Live at the Fillmore, February 1969! Even though this is a boring album for the most part, I found it to be a rather pleasing experience nonetheless. I wasn�t very excited by their song selection, but they generally did a good job keeping the quality high enough to make it likable throughout. It�s a good thing to sit back and soak up. The only places where I felt they dropped the ball a bit was a dull version of the duller �The Christian Life,� a sloppy-in-a-bad-way presentation of �King Apathy III,� and just an all-around boring �Bad Night at the Whiskey.� Those are easy to miss, though. The best way to listen to Live at the Fillmore, February 1969 is to only pay half attention to it, and your brain is apt to just filter out the especially boring bits.